This revised and updated edition of this down-to-earth survival manual is for those who are new to teaching, and for those who need a quick refresher course. 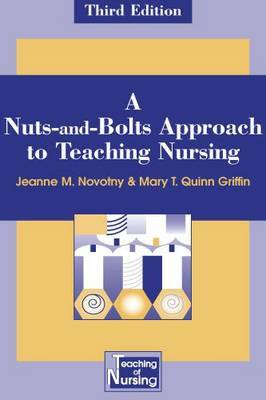 Brimming with practical pointers and dozens of timesaving tables and checklists, this volume includes strategies you will need to make clinical assignments, select the right textbooks, construct and analyze student tests, facilitate student learning of technology, prepare and present lectures, and much more. Includes chapters on: supervising a clinical group; planning to give a lecture; designing and grading a major/minor assignment; test construction and analysis; guiding independent study; and helping students improve their writing skills.